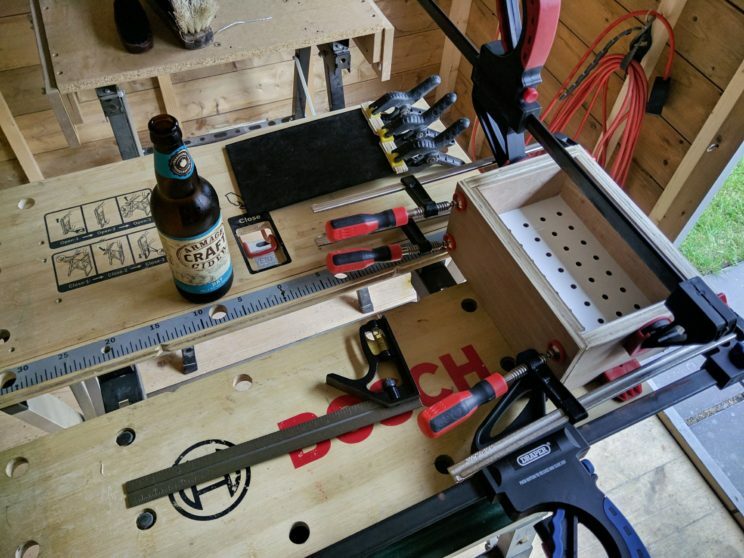 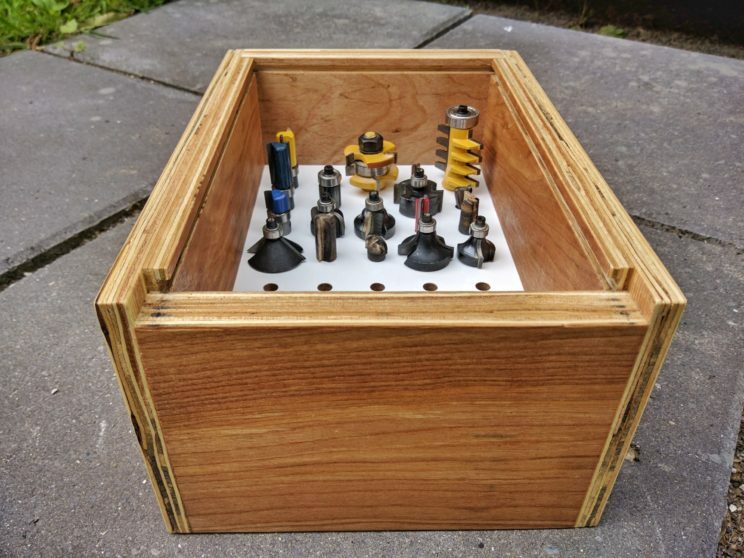 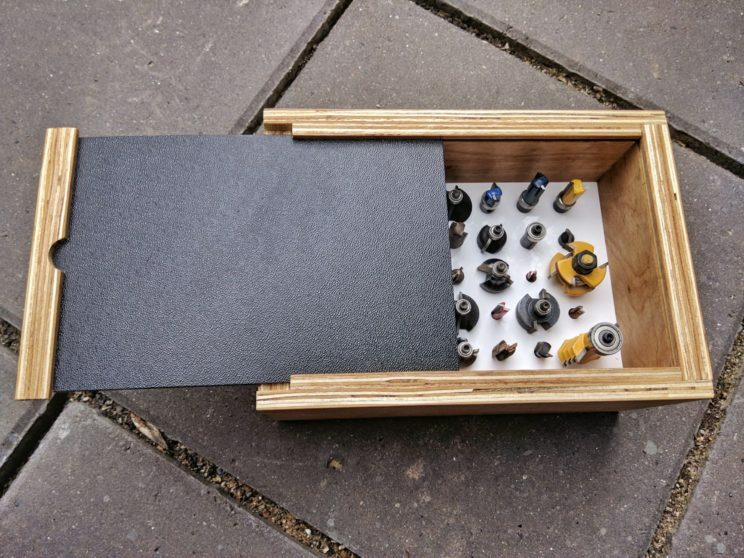 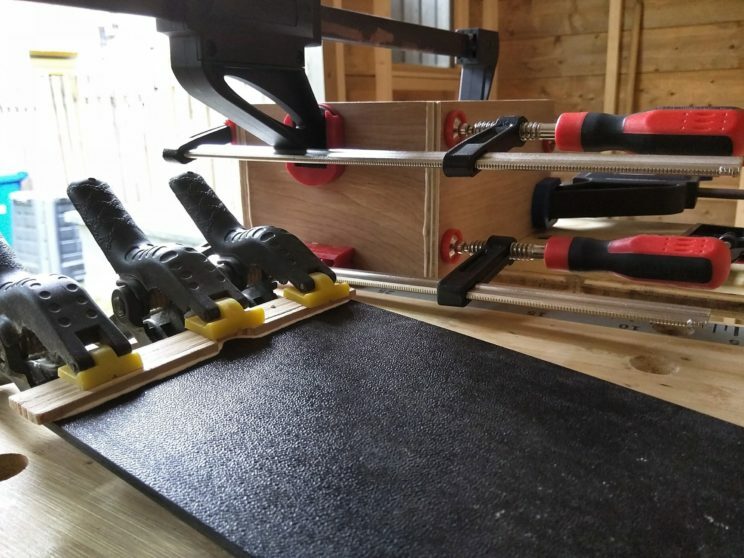 My router bit collection has expanded and it was time to build a storage box. 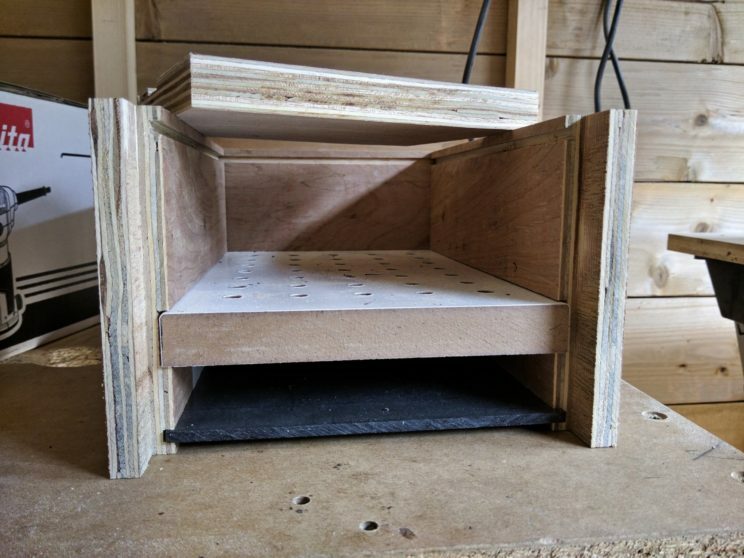 I had some plastic, MDF and plywood on hand. 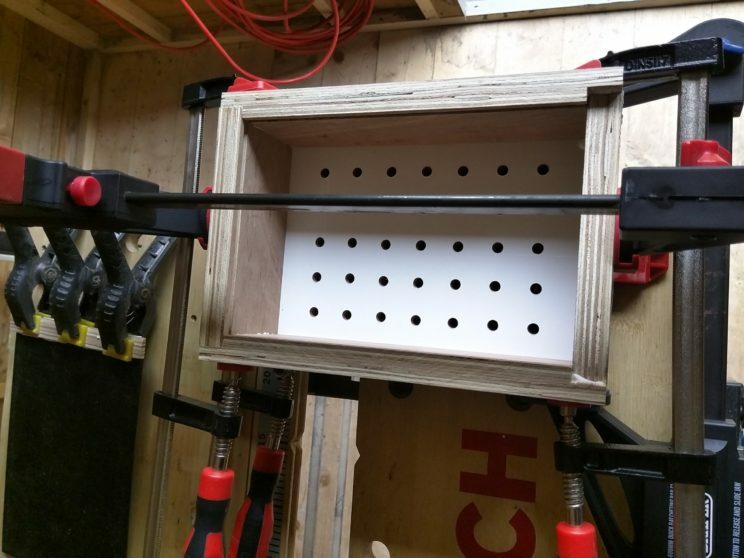 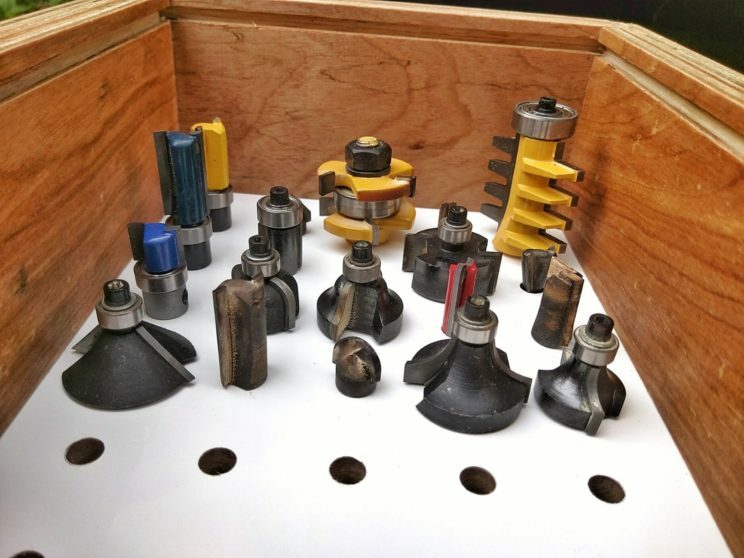 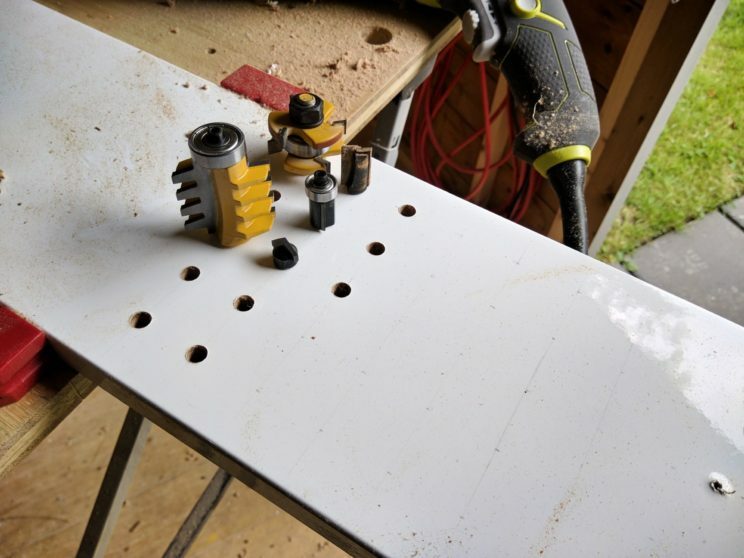 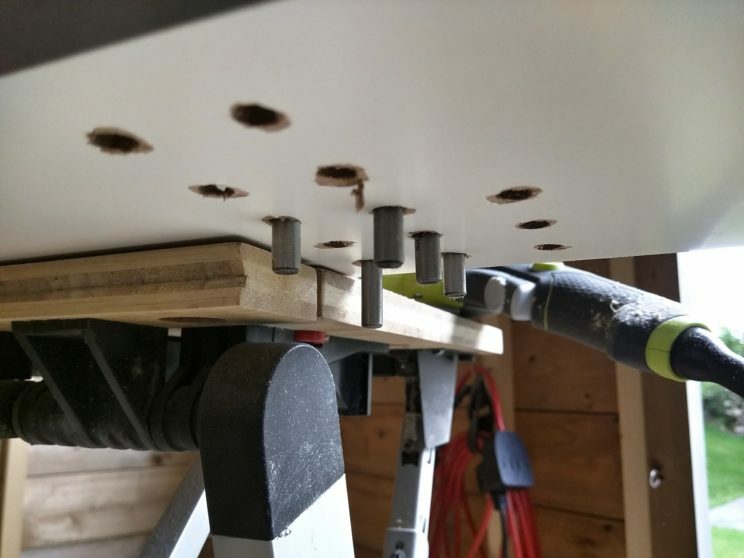 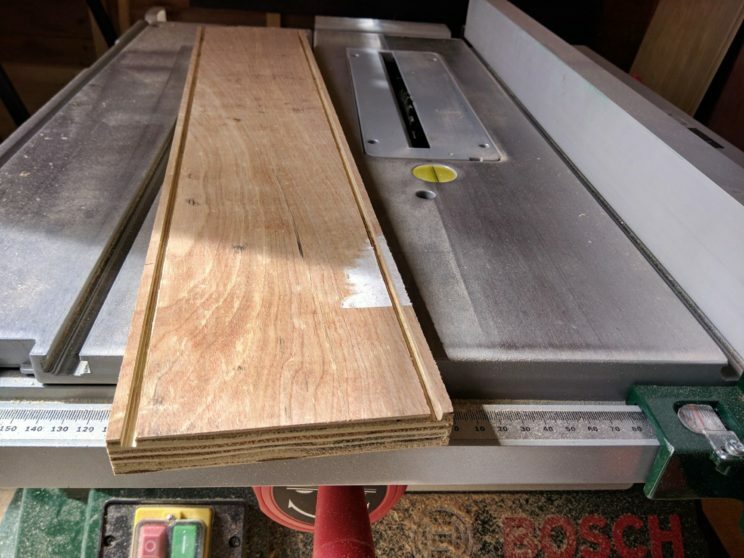 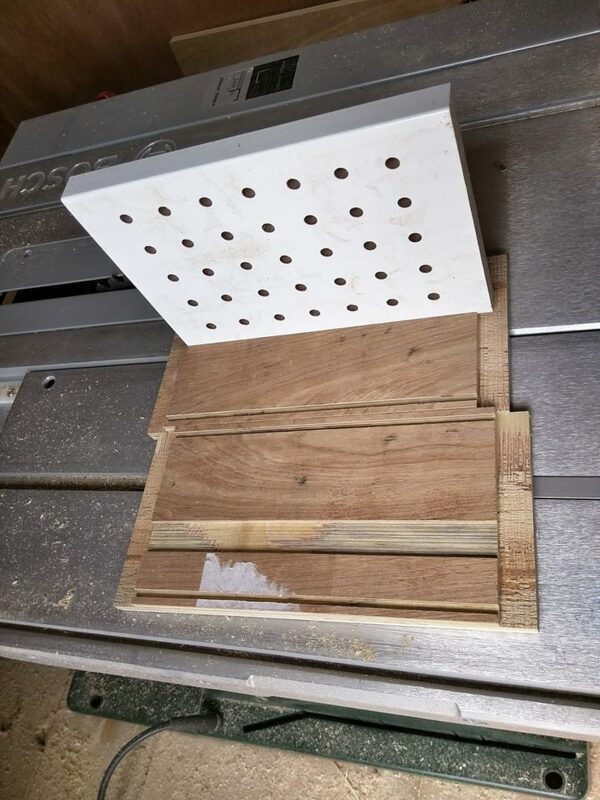 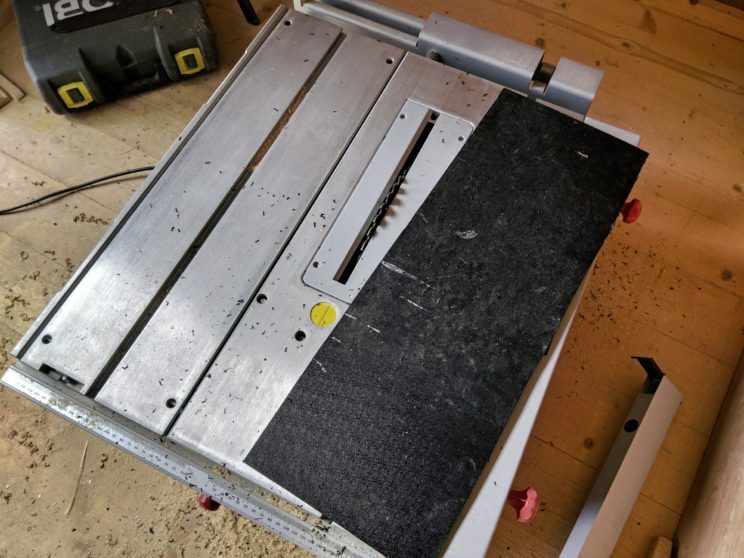 I started with the MDF – 7 mm drill bit drilled holes for 1/4 inch shank router bits. 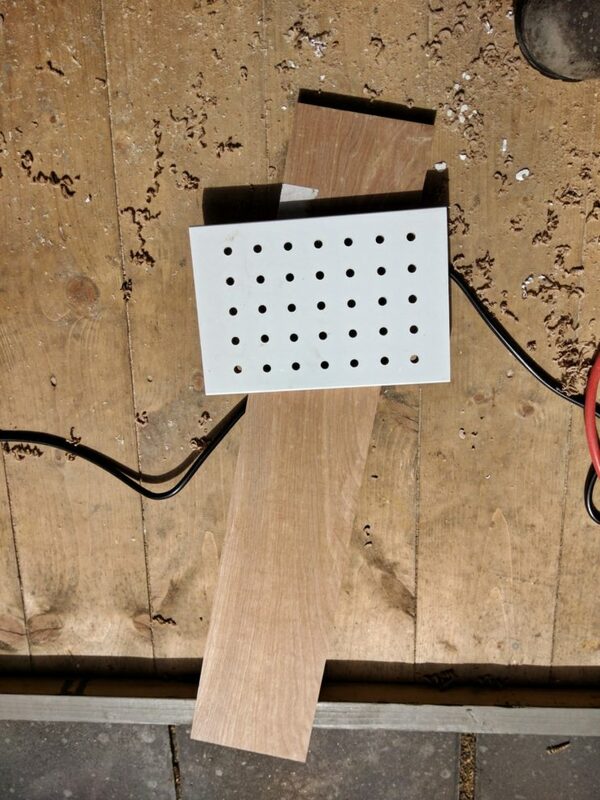 I cut the plywood next. 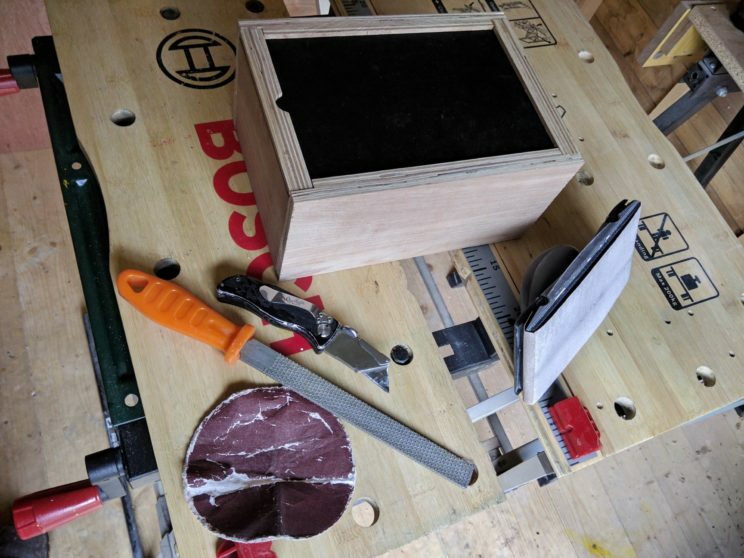 Cutting plastic is messy and smelly, but I love the idea of upcycling things! 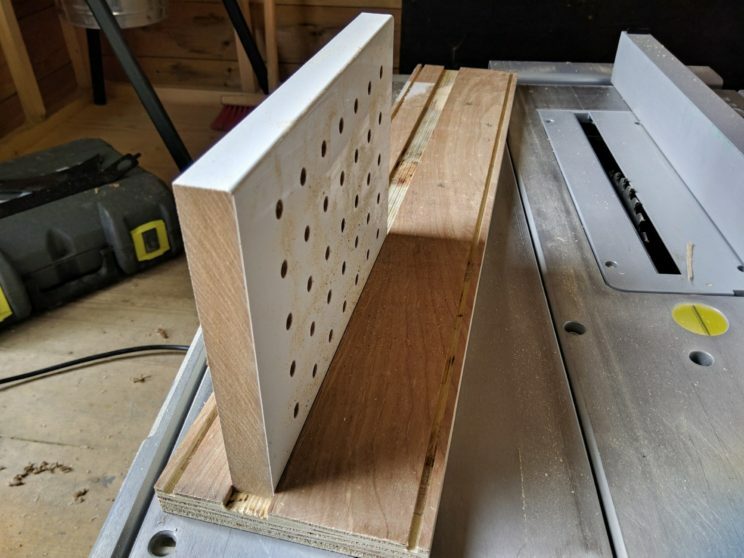 Adding some details wiht my belt sander and its front roller. 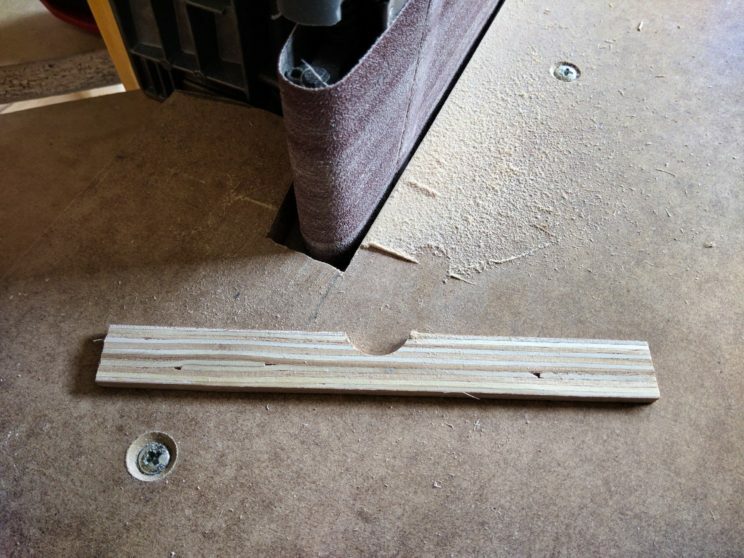 Also the handle had to be sanded down to the right thickness. 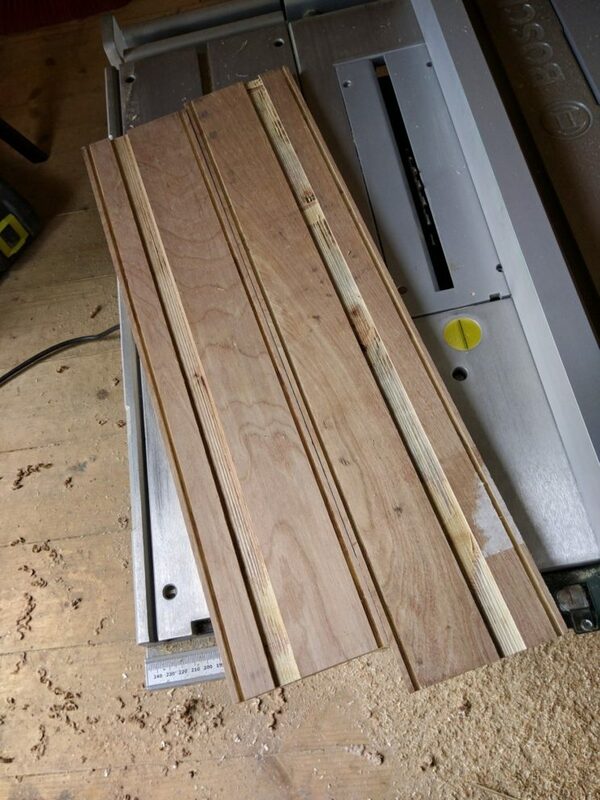 The glue up and checking for square. 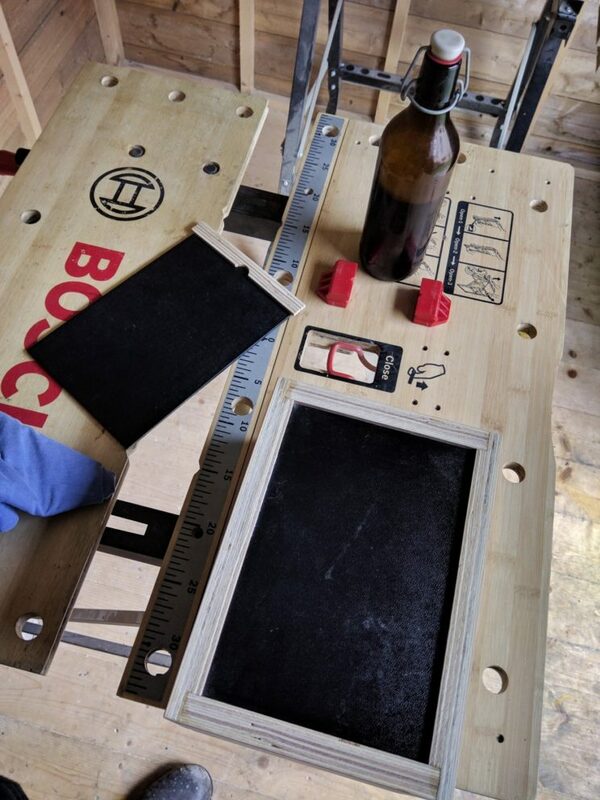 I also tried to use the same wood glue for the lid. 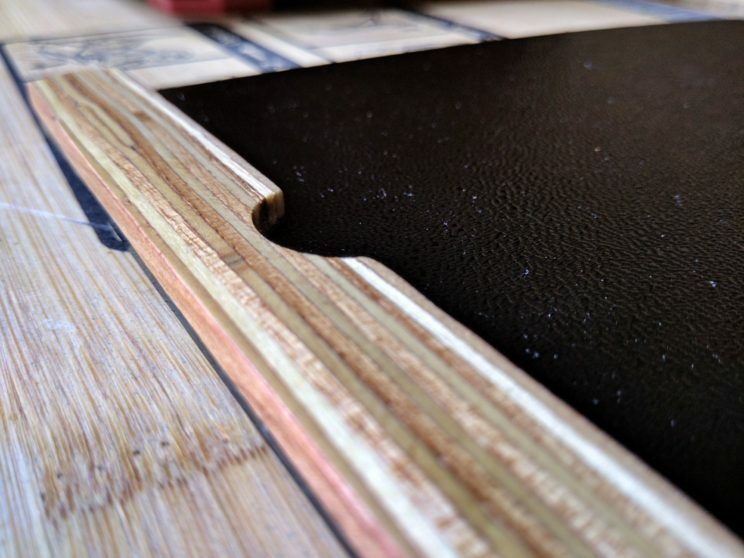 Quick sanding and 2 super quick coats of wipe-on poly. 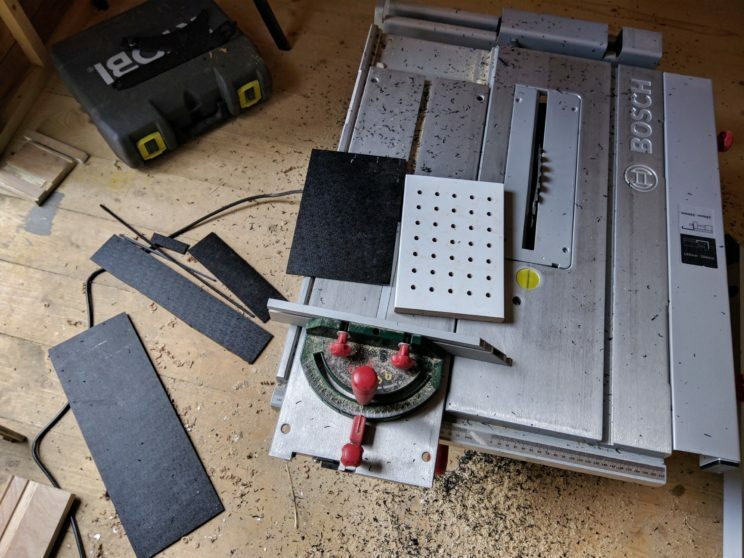 Plastic parts are coated too. 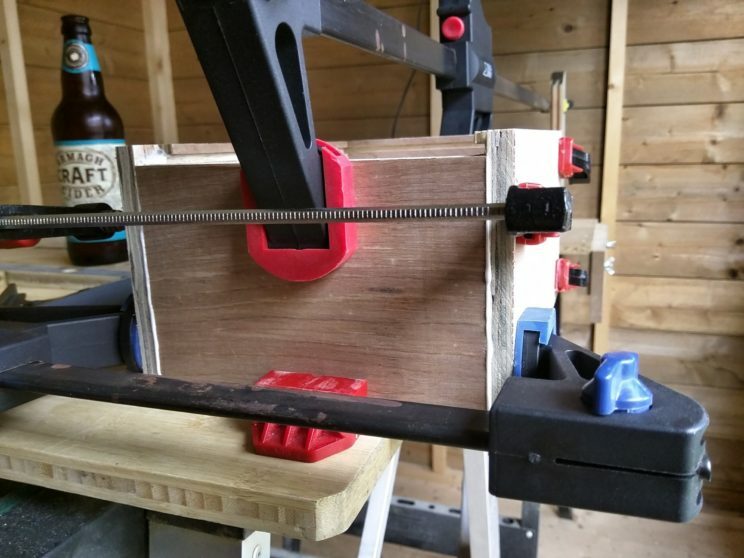 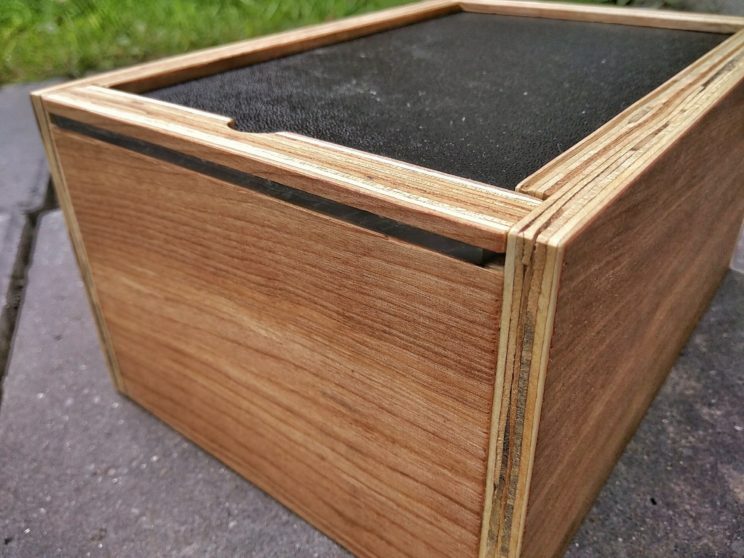 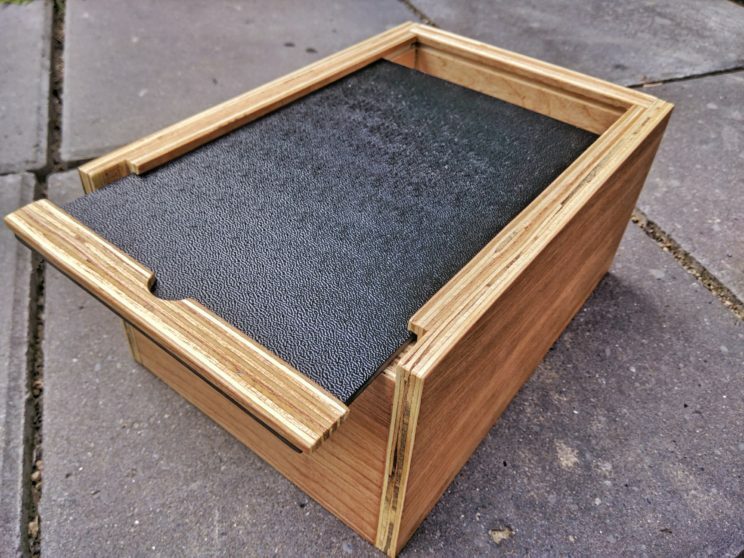 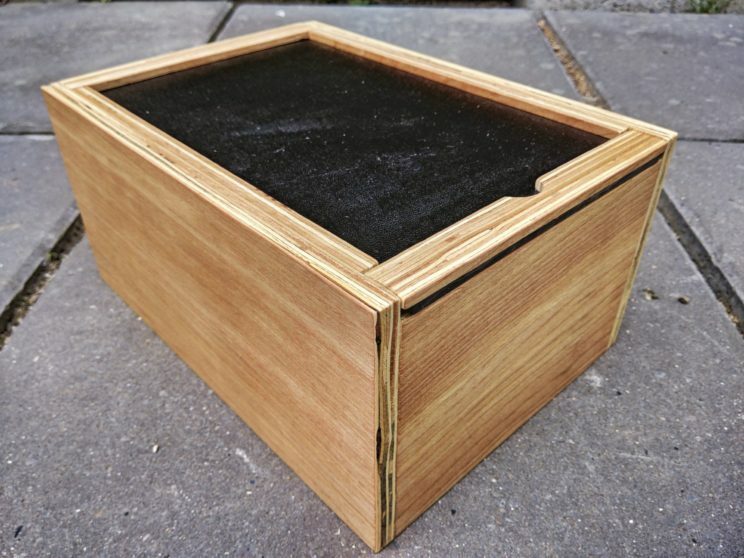 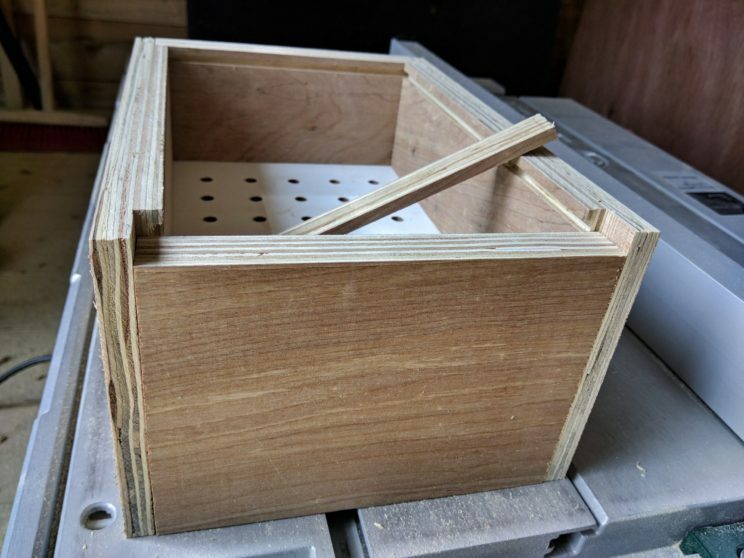 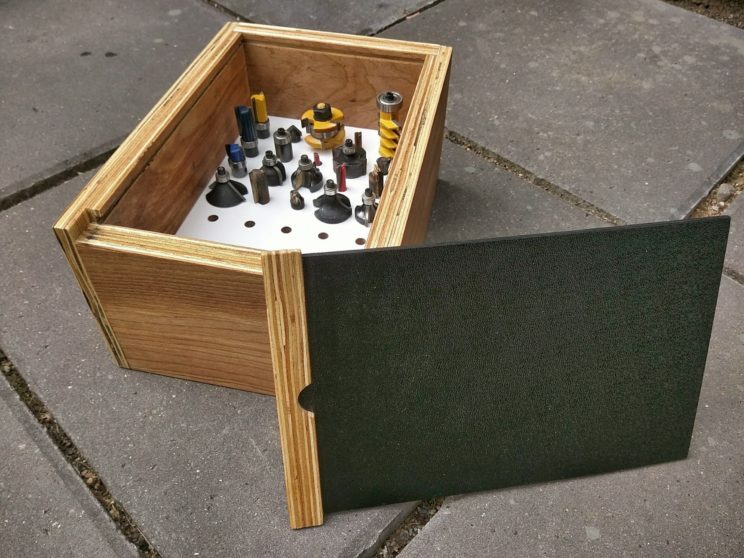 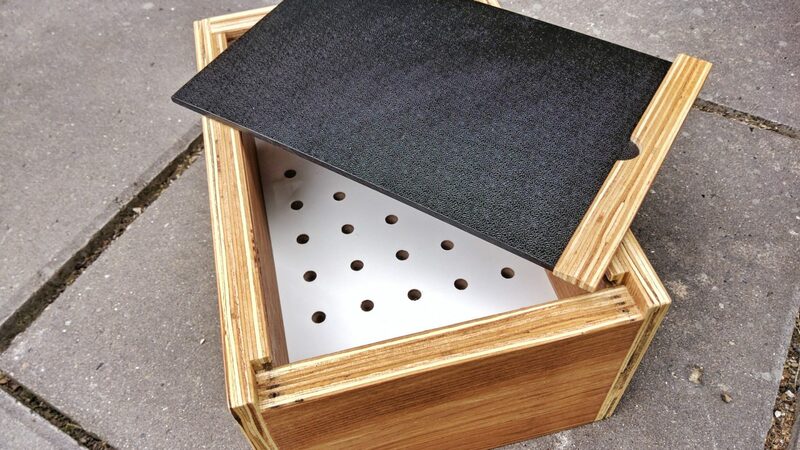 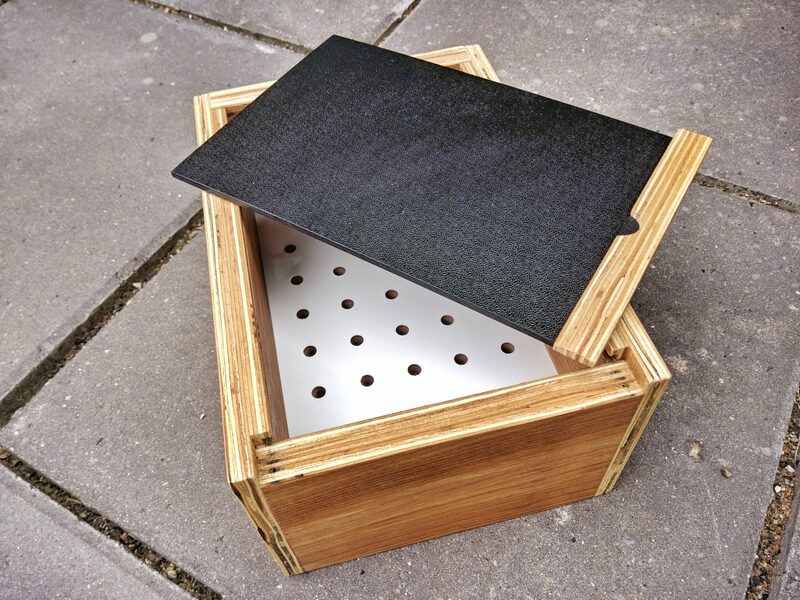 A perfect storage box for any 1/4 inch shank router bit. 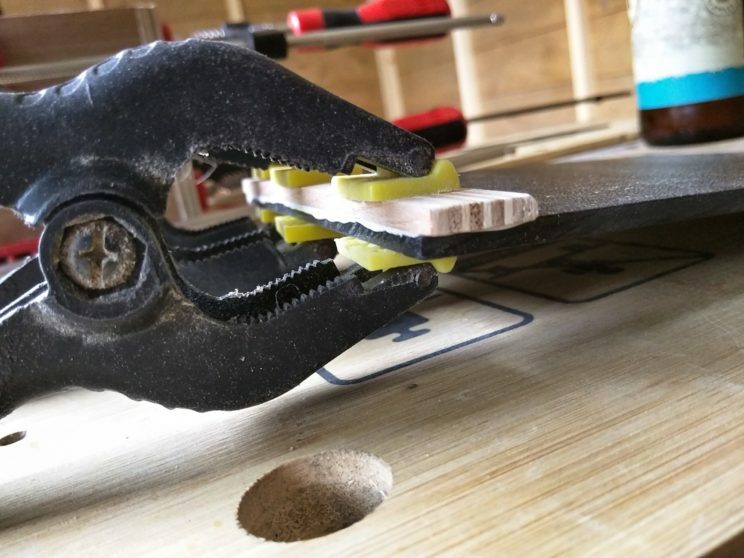 If the bit is really big – it will fit with ease, if the tip is smaller than 1/4 of an inch, the bit will be held by the plastic bottom insert.